I can’t resist woven things. Especially leather woven things. 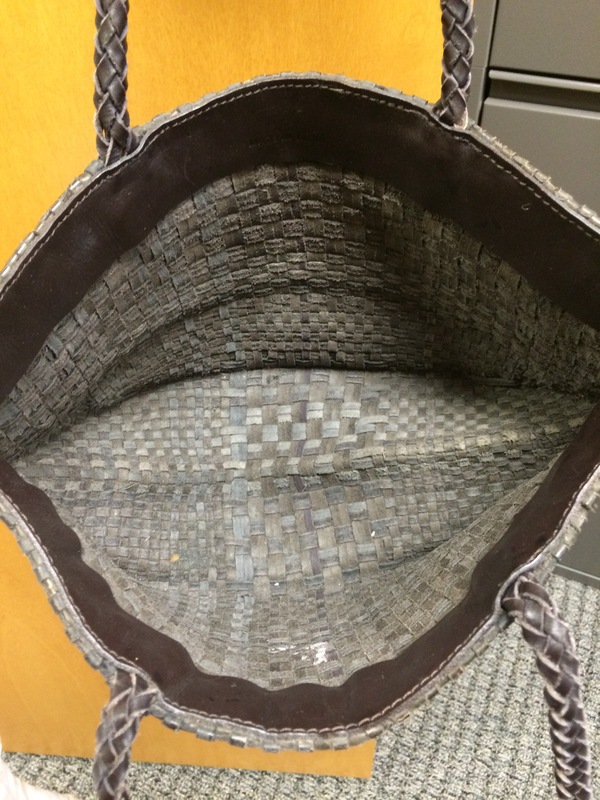 And if it’s a leather woven bag, and i can afford it, I’m buying it! This brown bag is up for grabs today, it’s super basic but super cute. Email 50favbags@gmail.com if you’re interested. Taken. Thanks. 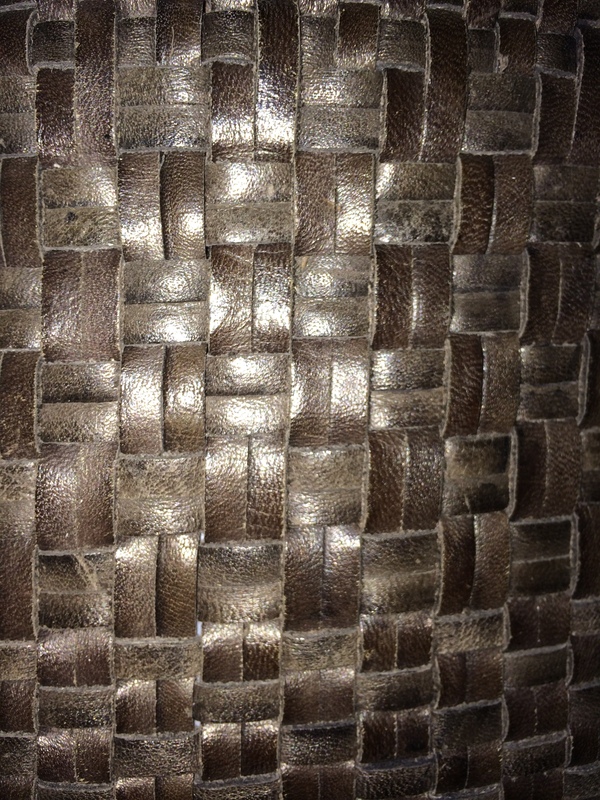 This entry was posted in 2015 Lent bag giveaway, thrifting and tagged brown, giveaway, Handbags and Purses, woven on March 31, 2015 by miriamgmck. ﻿It’s tote bag Monday. Here’s a purple faux mock croc leather bag by the now defunct Coldwater Creek with two outer pockets and an inside divider. Email 50favbags@gmail.com if you like. Taken. Thanks! 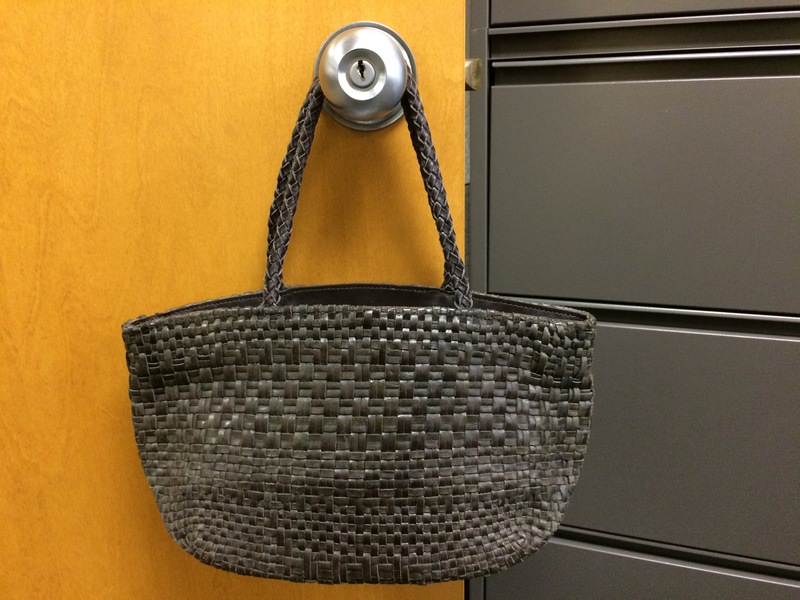 This entry was posted in 2015 Lent bag giveaway and tagged coldwater creek, giveawat, purple, tote on March 30, 2015 by miriamgmck. Remember when these came out? Neither do I. But they’re cool. This little black purse has an inside zippered pouch and feet. Email 50favbags@gmail.com if you want this one. 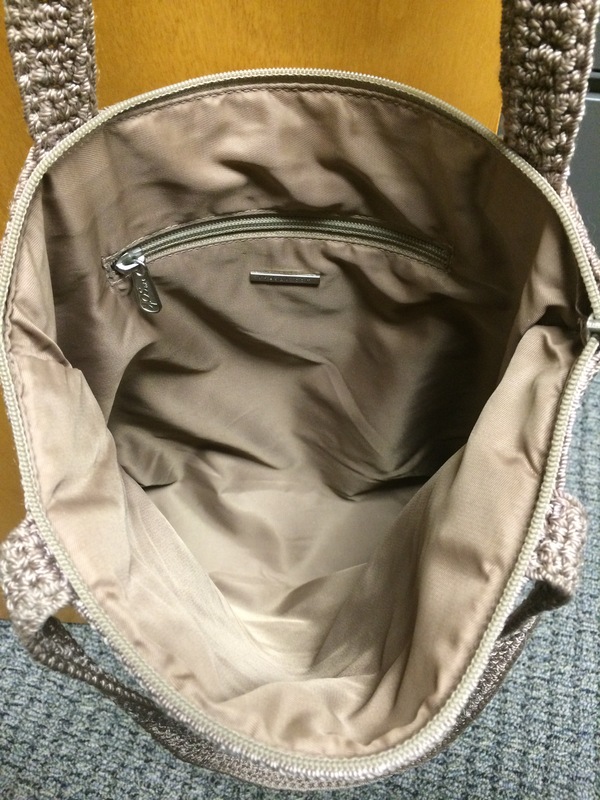 This entry was posted in 2015 Lent bag giveaway and tagged black, giveaway, Harveys, seat belt bag on March 29, 2015 by miriamgmck. Here’s a cute LLBean polyester crossbody that I bought for my purse-hating oldest daughter. She liked sporty stuff at that time and her favorite color is purple, so I thought this was a winner. I thought wrong. Her loss can be your gain. Email 50favbags@gmail.com if you’d like to own this. The inside pocket has one of those clip things in there. Peace. This entry was posted in Uncategorized on March 28, 2015 by miriamgmck. 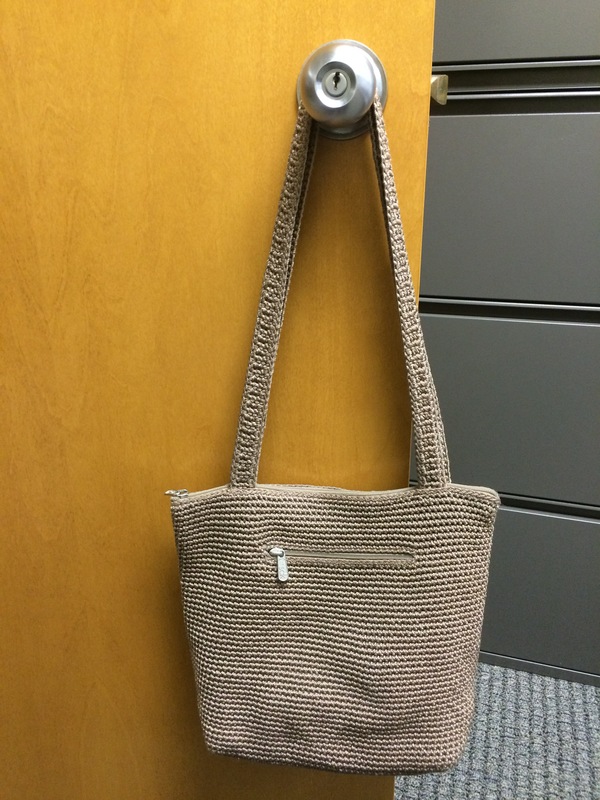 Today’s bag is a hand-crocheted bag by The Sak. Tan with long shoulder straps, inside and outside zipper pockets. It was at St. Vincent for 1/2 off for a whopping $2. It’s in great shape with no interior marks. Email 50favbags@gmail.com if you like it. Enjoy your weekend! We’re getting ready for a special set of visitors at our house… David’s parents arrive next week. Taken. Thanks! 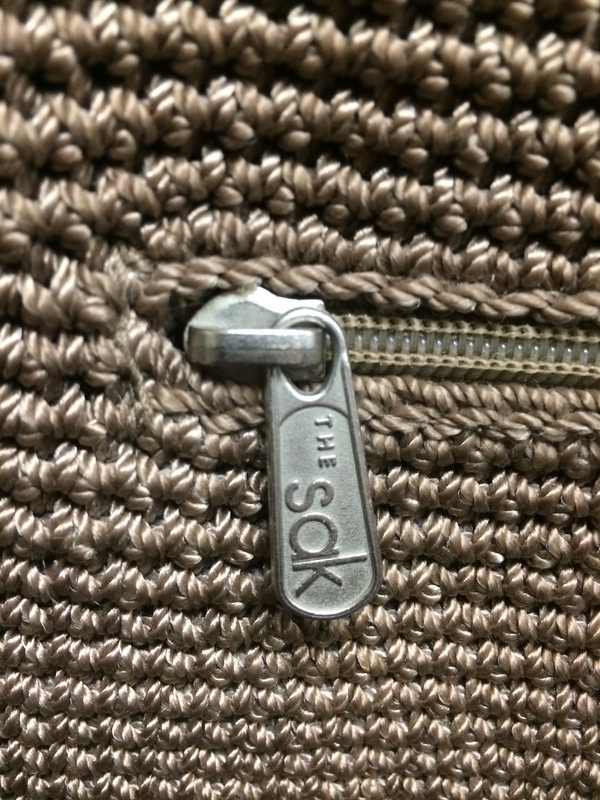 This entry was posted in 2015 Lent bag giveaway and tagged giveaway, Handbags and Purses, in-laws, tan, the sak on March 27, 2015 by miriamgmck. 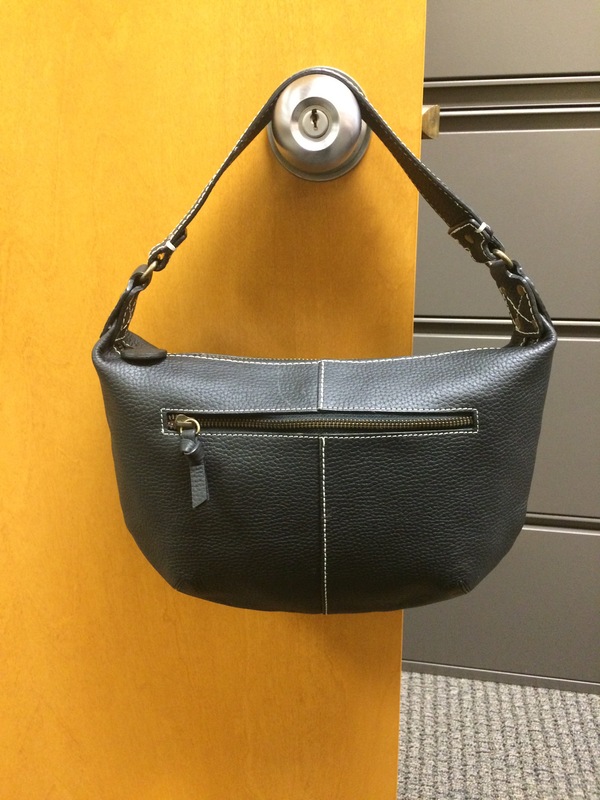 This black pebbled leather purse is from the Gap. It’s a cute little hobo and can be yours when you email 50favbags@gmail.com. I had a friend ask me today if I go shopping looking to buy stuff for other people. Often, maybe. Usually I’m just looking, which is when i find great stuff. When i find something too good to pass up, but i know i won’t use it, i can usually find someone who i know will love it. I’ve been very glad to share these bags with you these last few weeks. Taken. Thanks! 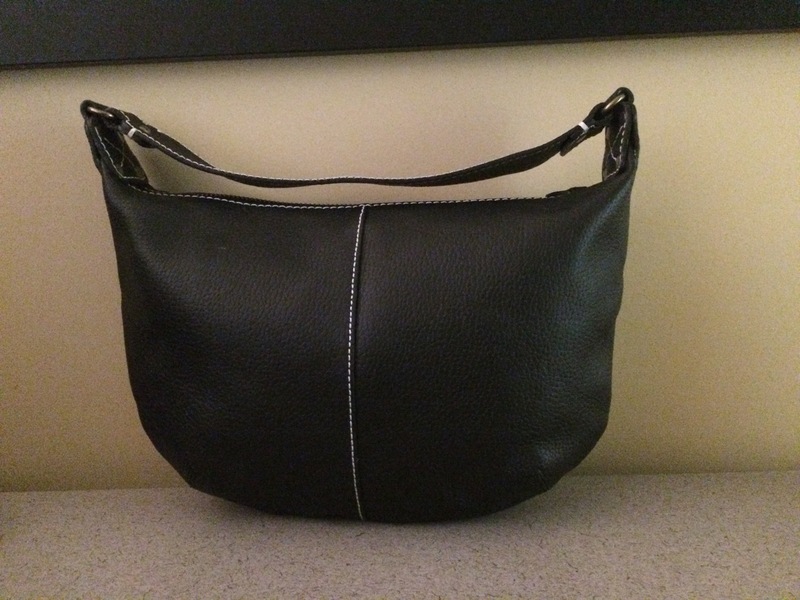 This entry was posted in 2015 Lent bag giveaway and tagged black, giveaway, Handbags and Purses, hobo, pebbled leather, small, st. vincent de paul, The Gap on March 26, 2015 by miriamgmck. I love this color a lot. It goes with everything; it’s just so classy looking. I searched and searched for a bag this color and finally found this one at TJ Maxx last year. It’s by Steve Madden and I paid $30 for it. It’s a four-way convertible bag in that it’s a shoulder bag, a crossbody, you can fold it over or carry it by the handles, and it has a zipper vented bottom. It’s just so cool. I really like this purse, but I found one the same color at St. Vincent Depaul. It’s a vintage Nordstrom leather bag and is so beautiful that it makes it a little easier to give this one up. Email me at 50favbags@gmail.com if you like it. TAKEN. thanks. 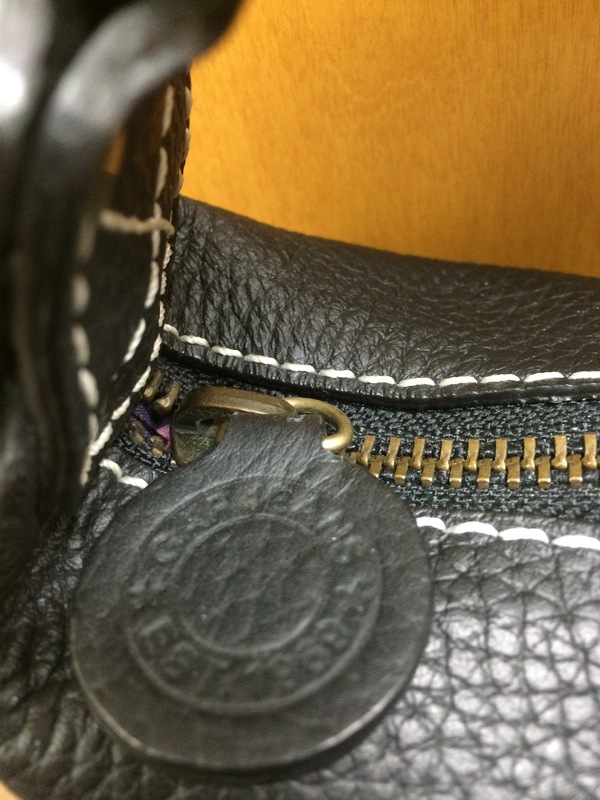 This entry was posted in 2015 Lent bag giveaway, tj maxx and tagged brown, cognac, giveaway, Handbags and Purses, Steve Madden on March 25, 2015 by miriamgmck.